Regularly $19.95, save 25% through February 9, 2018! 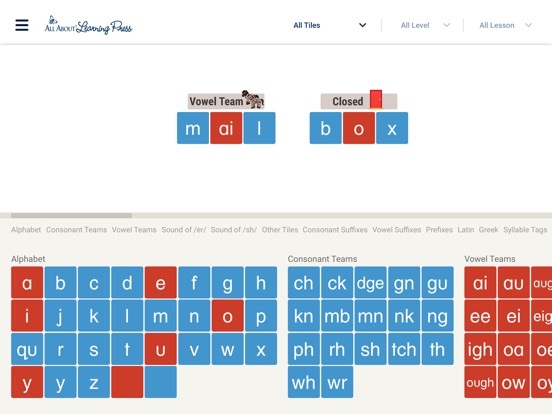 Our Letter Tiles app lets you build words, divide words into syllables, and hear the sounds of the phonograms. Just choose your program from the menu (All About Reading or All About Spelling) and select which lesson number you are currently teaching. The appropriate letter tiles for that lesson will appear, making it easy for you to teach and easy for your child to learn. 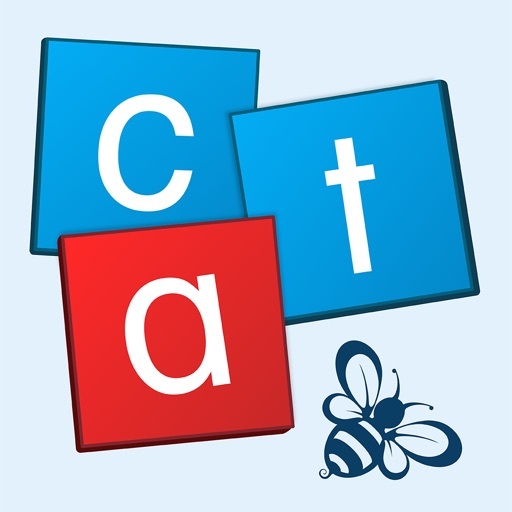 The app contains all the phonograms, suffixes, and word parts taught in the All About Reading and All About Spelling lesson plans. Suitable for all ages and learning styles!